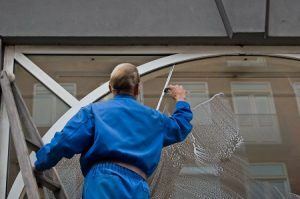 When it comes to cleaning, the windows are an area that many of us forget about or neglect, perhaps because we do not consider them to be as important as the rest of the property or because we find the task too difficult or time-consuming. Window cleaning in Westminster is in fact not an easy job. The good news is that with Top Cleaners Westminster on your doorstep, you do not have to worry about it anymore! Our window cleaning is the perfect addition to a one-off spring clean, an end of tenancy clean or even as part of your regular cleaning schedule. Our window cleaners are highly trained and professional, using the best equipment and products to give your windows the shine that they deserve. When you look around your home, are you getting enough natural light in? Keeping your windows as clean as possible helps to maximise this natural light. After all, making your windows bigger is not a very practical option and is certainly far more expensive! Our cleaning services are provided by cleaners that are trained to make your premises shine inside and out. For businesses, it is particularly important to keep windows looking their best. When clients arrive at your premises for the first time you need to make a good impression. Clean windows will show that you care about the way that your company is presented and will add to the overall impression that they take away from your business. A window cleaning service is very cost effective and is probably far cheaper than you think. It will save you a great deal of time and if you have it as part of another cleaning service it can be even more cost-effective. Why not pick up the phone and give us a call on 020 3909 7649 to find out how we can help with window cleaning in Westminster and all other London areas? You can also discuss our other excellent cleaning services and affordable prices.